Vera had a falling out with her best friend Charlie and then he died. 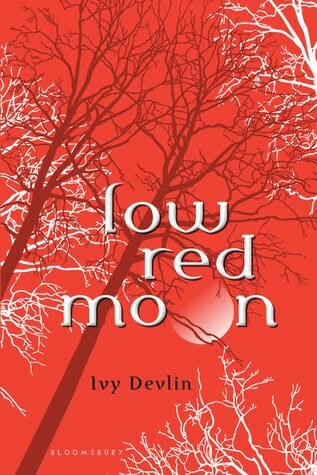 Told her whole life to ignore her neighbors’ misdeeds and concentrate on her own problems, Vera’s not sure if she should share what really happened the night Charlie died and clear his name - or if she even wants to. 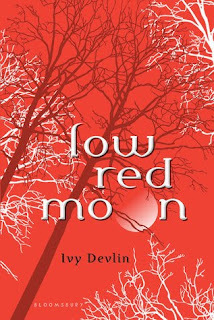 After legions of novels with paranormal creatures and rich girls, it is so refreshing to spend time with someone as normal as working class Vera. Sure, she’s a bit of an overachiever – working a full time job as a pizza delivery girl while still maintaining excellent grades in school – but since her social life is practically nil, she can swing it. See, all Vera really wants is to be ignored – to fly under the radar so she can emerge from high school unscathed. She doesn’t want to end up like her now absentee mother, pregnant at 17 and a stripper at 18. There’s a bit of a mystery element to the novel as Vera slowly reveals clues about why she and Charlie were no longer speaking to each other and hints about what happened that fateful night. And although most of the narrative is in Vera’s voice, we also hear from Charlie (from the great beyond), Vera’s dad Ken (who offers up some hilarious flow charts) and even the pagoda at the top of the hill (quirky, eh?). 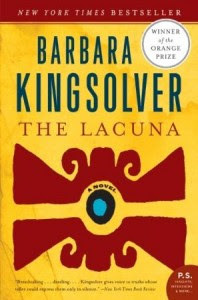 It’s an engrossing, touching, and funny read – very different from King’s debut THE DUST OF 100 DOGS but just as special. 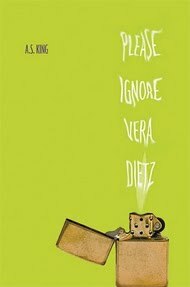 PLEASE IGNORE VERA DIETZ comes out October 12th, and ARCs were in short supply. That’s why I am offering my ARC to a book blogger/reviewer who is willing to review it before the end of October. If that describes you, please leave a comment telling me your blog name, e-mail address and why you want to read/review it. I will pick a winner this Saturday, September 25th at 11:59 pm CST and send it out on Monday the 27th. Find out more about the novel at the author’s website. We've come to the end of the Nerds Heart YA road, and two books are still left standing. Nerds Heart YA is an annual event (in its second year) to showcase the quality gems in YA lit that don't get as much exposure or publicity as other books but are equally deserving of attention. 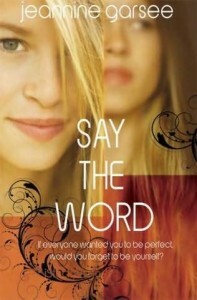 SAY THE WORD is a novel that explores family relationships and homophobia. LAST NIGHT I SANG TO THE MONSTER is about a teen in rehab confronting the monsters of his past. Neither is a book I would have picked up on my own had it not been for Nerds Heart YA. Both are amazing books I hope you will consider checking out. But which one takes the title? SAY THE WORD features Shawna, a very honest and flawed teen who is angry that her mother dumped her and her father years ago to live with Fran, her lesbian lover. So angry that she hasn't spoken to her mother in quite some time. So it comes as a shock when Fran calls and tells Shawna that her mother has had a stroke and is dying. Shawna's mother's death sets off a whole chain of events that force Shawna to deal with her feelings of betrayal and homophobia. Though Shawna is a sympathetic character for the most part, she does and says some horrible things. 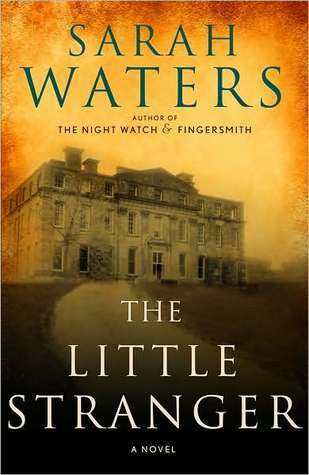 Still, Garsee has a light touch, and the story, despite its heavy themes and tragedies, is a very entertaining read. 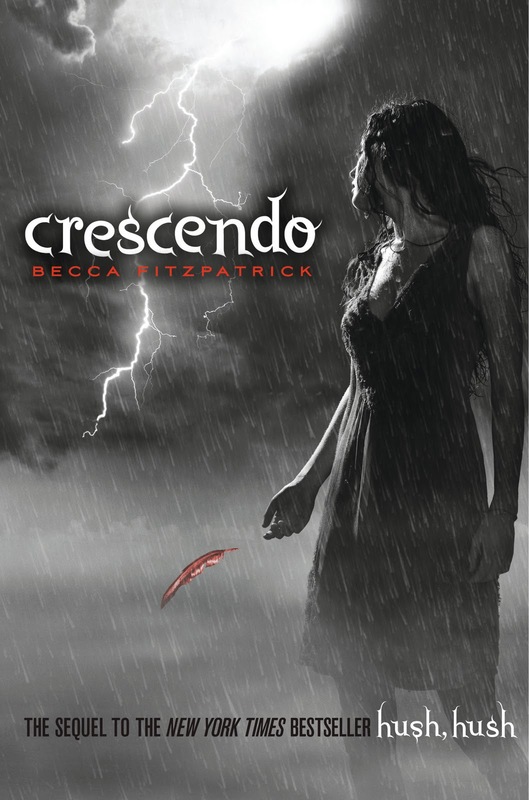 I really loved probably the first three fourths of this novel, but had a some problems with the ending. One of the problems had to do with a romantic encounter Shawna had that just completely came out of left field and seemed out of character and out of place. The other problem had to do with the resolution of the main conflict of the story which was just very unsatisfying to me. Still, I really, really enjoyed reading this and spending time with the characters. Find out more about it at the author's website. LAST NIGHT I SANG TO THE MONSTER features Zach, an alcoholic teen in rehab. Zach doesn't want to remember what happened to him that landed him in the facility, doesn't want to face the pain in his life. An unlikely friendship with a 53 year old fellow patient Rafael helps him heal. LAST NIGHT was a difficult novel to get into. I did not enjoy the first half very much. Zach is angry. His fellow patients are angry. They talk about their monsters and addictions and how they drink and do drugs to avoid feeling anything. Their stories, when they tell them, are shocking and sad and uncomfortable. Isn't that beautiful? It helped me to see the characters and story in a new light and really root for their redemption. And when I put the book down at the end, I was deeply touched. Find out more about the book at the author's website. So which novel should I choose as the winner? 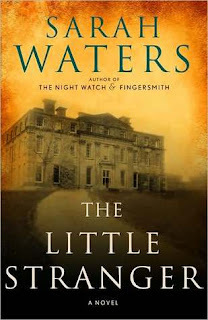 The book that entertained me more? Or the book that touched me more? 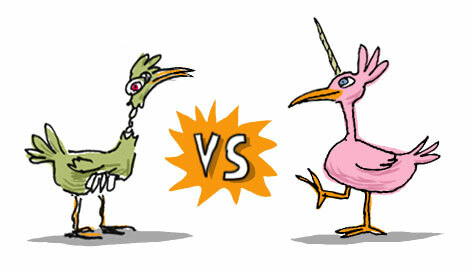 My gut feeling tells me to go with the latter. That means LAST NIGHT I SANG TO THE MONSTER wins. Congrats! My interview swap is with Allegra, a teen blogger, and you can read her interview with me at her blog My Library Card Wore Out. Extra post with exclusive new kitten pictures is here! Tell us a bit about your book blog: What made you decide to start your blog? What genres do you cover? Favorite posts? I wanted to start a book blog because I was so in love with books and wanted to share my love of books with others. I also thought blogs were really cool. Not one of my friends had one and I wanted to be the first. So what I did was I talked to my mom about a name and we came up with Book Worm, Book Lover and others but they were all taken. Then my mom suggested "MyLibraryCardWoreOut." I liked the name and obviously no one had it, so I used it. 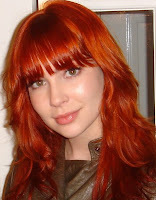 I also wanted to start a blog because I hoped it would make my friends feel jealous. Silly thing to start it for, and it turned out that no one really cared, but I didn't mind because I was having fun with my blog. I liked sharing my thoughts and all that. I cover YA books mostly. Anything that a young to older teen might enjoy. I also do fun book related things like fun facts about books, or fun information about books and each Friday (FunDay Friday) I do a post that is normally a video that is funny. It is normally off the topic of books. I also do Books to Movies. They are fun to do because that means I get to watch a whole lot of movies sometimes. 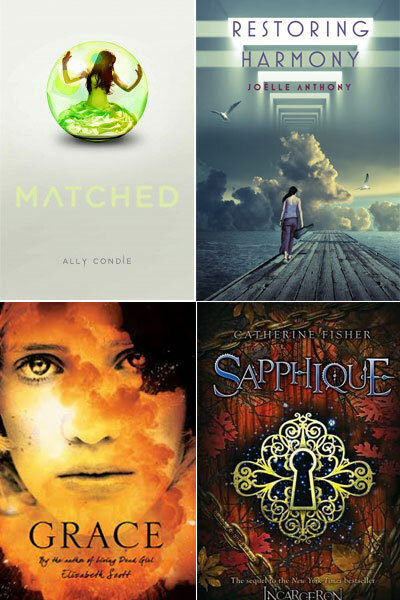 I like all of my posts but my Top Ten Must Read YA Books is one of my favorites. What is a book reading experience that really stands out in your mind? Night by Elie Wiesel. This book was about WWII and we had to read it in school. 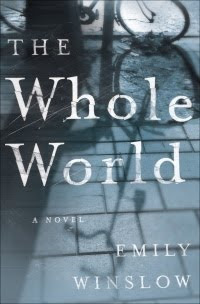 This book was touching and I just could not put it down. I did cry reading this book because what I was reading was all true. Elie Wiesel was in a concentration camp and it was all about his experiences. It was really a powerful book and I would recommend anyone to read it if they wanted to read a powerful and life changing book. 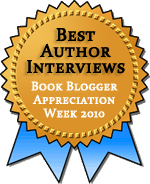 Let’s say someone asks you to recommend a few book blogs to them. Which blogs come to mind immediately? Who is someone you really appreciate? I really appreciate my mother because she has helped me with my blog. When I am stuck for an idea she always had a bank of them in her head. She is currently a guest blogger on my blog (M.O.M; My Own Mother) but hopefully in the next month she will become a full contributor. She also reads YA books sometimes so she does posts on those type of books too. She also helps me out with all my blog problems. She also is my editor. Without her, my posts would have some spelling or punctuation errors. Without her my blog might not be as good as it currently is. Obligatory cat gushing! 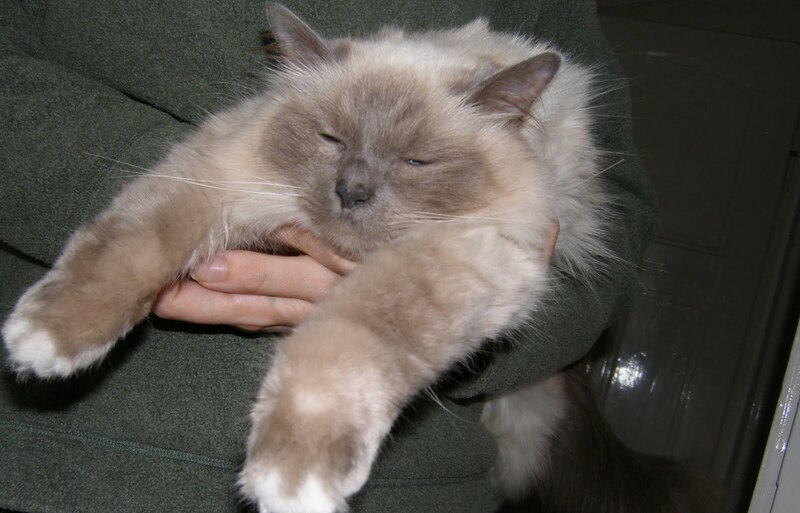 Tell us about your gorgeous cats and share a picture! The indoor cat is Merlin and the outdoor cat is Harry. My indoor cat cannot go out because he has a heart problem and his tough goes blue when he runs outside so he is strictly indoor only. Merlin is currently 5 years old and Harry is about 8 or 9. Merlin still acts like a little baby and he is the only cat I or my parents have had that actually bathes us. Hands, face, feet. The whole bath. If he is in his loving mood, we sometimes don't need a shower at the end of the day he bathes us so much (but of course we do). My outdoor cat is a big marshmallow and I do not mean he is fat. If you can stroke him (which is normally, just sometimes he is skittish) he will start drooling (literally) and purr and rarely (and this has only every happened with my dad and I) he might do a quick lick to the hand. They are both my little babies and we all love them so much so that I think I give Merlin too many kitty treats. So, I will be in the US soon - yay! 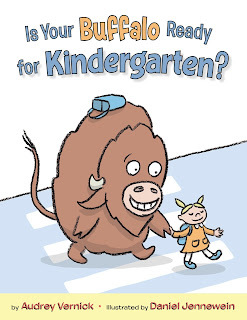 Daniel has a mini book tour to promote IS YOUR BUFFALO READY FOR KINDERGARTEN? You can also see us at the Brooklyn Book Festival on this Sunday. Just hanging out and attending a few panels. 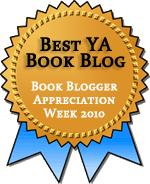 You might recall that I registered my blog for Book Blogger Appreciation Week (September 13-17) back in July and put Presenting Lenore up for awards consideration in two categories, Best YA Blog and Best Author Interviews (see which posts I picked here). But of course, BBAW is not just about awards. BBAW has their scheldule up already for next week's festivities, so check it out and see how you can get involved. Though I'll be traveling, I am going to try to participate as much as possible! Hope you will too. 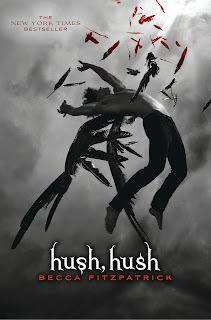 I went into this not knowing it is the first book of a planned triology...so when I got close to the end, I was all like "No way this can wrap up everything now...uh...oh...is this a SERIES?!!!?" Obviously, I HAD to read this novel, what with my name being so associated with Poe and all. I was a bit afraid that it would be too scary for me, but though it was creepy quite a bit, it never felt like horror to me. So ok. Honestly, I could have done without the "paranormal" part of the plot. The whole "dream world" part was often too fantasy for my taste and the transitions were not as seamless as I would have liked. What I LOVED was the exploration of a relationship between two people who ordinarily would never have anything to do with each other. Isobel is a peppy cheerleader better at dating the star of the football team than at schoolwork. Varen is a sullen goth type who barely talks and never smiles. When the two of them are thrown together for a school English project, both are properly horrified. But as they get to know the real person under the sterotype, they warm to each other. 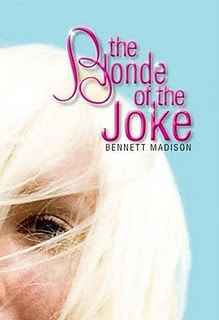 I liked that there were stakes to the plot, and that the characters took them seriously. I also really liked many of the supporting characters such as Isobel's brother and schoolmate Gwen. Poe is integrated well and the final project presentation is hilarious! One of my favorite scenes. NEVERMORE is out in hardcover now. 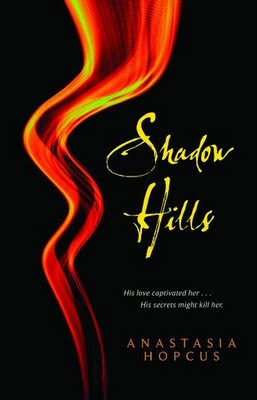 Find out more on the author's very awesome website. 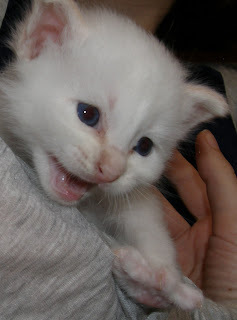 Last weekend, Daniel and I drove down to Stuttgart to visit the new kittens. Just look at this kitty pile! This is Kaia. 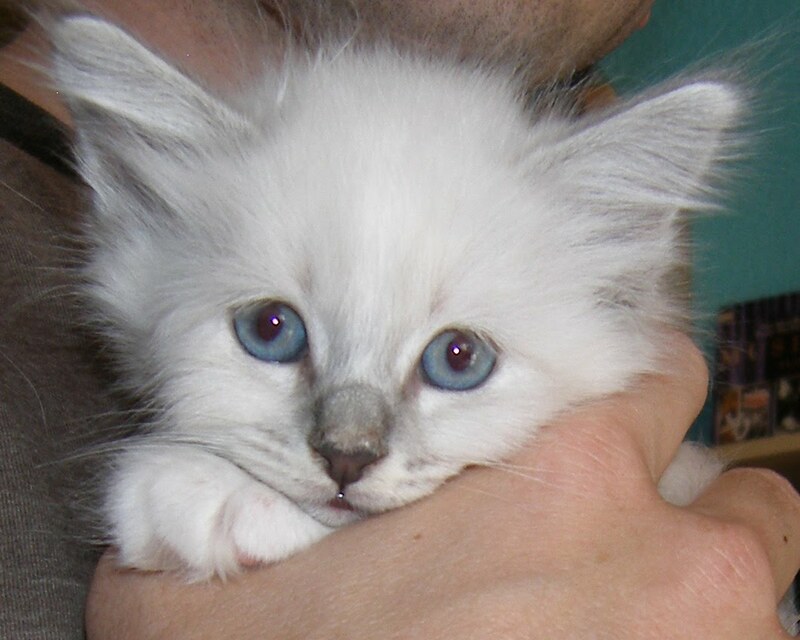 She's a blue-tabby point and can come home to us mid-October. This is Lu. He's a creme point and we can get him in early November. Doesn't he bear a striking resemblance to Kiefer Sutherland in the Lost Boys? This is how Emmy took the news. The Gardener by SA Bodeen - Can't remember! Of all the YA novels I've read over the past 3 years, IF I STAY is in my top 10. (Read my gushing review). That's why I was super excited to hear there is a sequel told from Adam's POV. If you haven’t read IF I STAY, the mere existence of a sequel is sort of a spoiler, so you really should not pay attention to this teaser tour and should go read IF I STAY first (and you should check the end of the post for a GIVEAWAY). But for the rest of you, who felt the book left you hanging and wondered what would happen after that squeeze of the hand, the wait is almost over: WHERE SHE WENT comes out April 2011. Still, a long time, I know, but right now Gayle Forman is doing a teaser tour to give IF I STAY fans the scoop on what they can expect from Mia and Adam’s new chapter. 10. Remember how by page 17 in IF I STAY, Mia’s parents were killed and Mia herself was like a ghost? Well, guess what? Nobody dies in WHERE SHE WENT. But…I wouldn’t suggest you put away your box of Kleenex just yet. You might still need them. 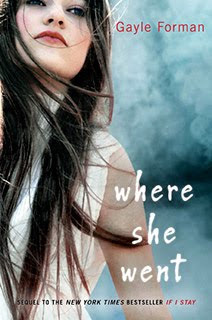 Preorder your copy of WHERE SHE WENT! 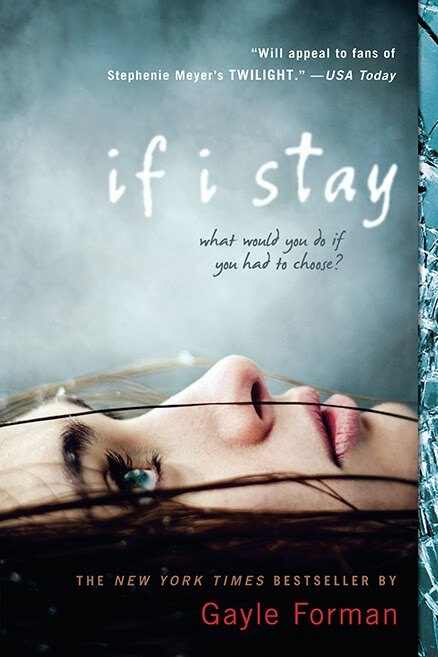 So, I have one signed copy of IF I STAY to give away to one lucky reader in the US. To enter, just tell me in the comments which novel you think needs a sequel that drops in on the characters 3 years later. Contest closes in one week (Sept 7th 11:59 CST), so spread the word fast. Hope you love it as much as I do!